Push, pop, and match! Push the colored balls and pop them into empty spots to fit each one with its matching colored ring. Mix them up for a new challenge. Cosmo is a great fidget toy and beginner brain teaser. 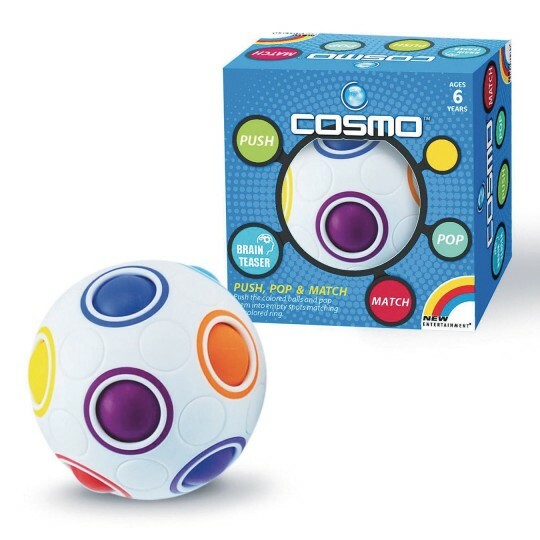 Cosmo features 11 color matching balls & spaces. Makes a great independent activity! Measures 2-5/8” in diameter.